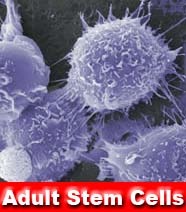 In March 2009, President Obama issued an executive order which simultaneously allowed funding of embryonic stem cell research (ESCR) and rejected funding of adult stem cell research (ASCR). The cutoff of funds for ASCR was accomplished in Section 5, revoking a prior executive order by former president George W. Bush. Pro-lifers have long supported ASCR as an alternative method which does not require the destruction of human life. We also argue that ASCR has a better track record. The most successful stem cell treatments are those which use a patient's own cells, eliminating the risk of rejection that has long plagued ESCR. Earlier this month, it was announced that experimental adult stem cell treatment in Italy has even cured blindness. And as medical researchers have begun to create pluripotent stem cells, which act like embryonic stem cells but do not require the death of an embryo, many predict that the whole debate will soon become obsolete. So defunding ASCR is a frankly moronic public policy move. But is it also illegal or unconstitutional? Jill Stanek reports that two researchers who have been denied funding because of Obama's executive order are suing, and the DC Federal Court of Appeal has just ruled that they have standing to bring the claim. I'll let you know what happens. If you want my prediction, it's that the National Institutes of Health will settle the case to avoid bad press. Thanks, Nulono. Seems like there's still some ambiguity-- maybe the lawsuit will help resolve it.